by always using the freshest ingredients purchased at the local farmer’s market. 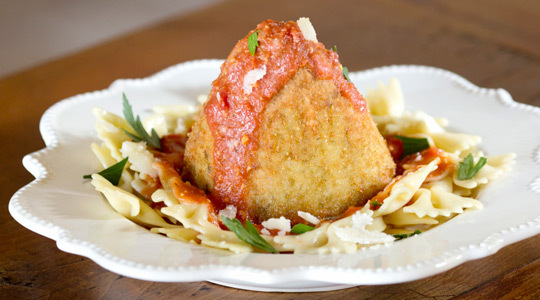 is the Classico version using a filling of creamy mozzarella and a ragu. Search for a location near you with our Product Locator. 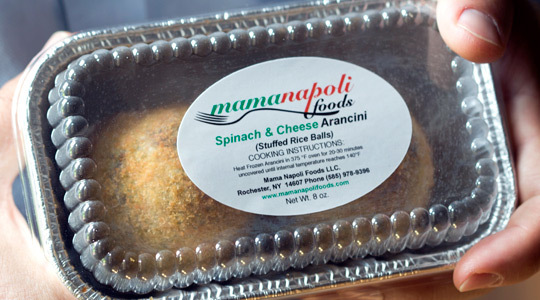 Mama Napoli Foods, LLC started in Rochester, New York and we are expanding! We are located at 485 Spencerport Road in Rochester, NY. Call (585) 978-4275 or fill out our contact form and we will get back to you soon. 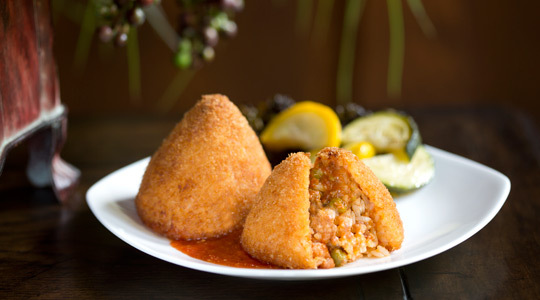 Mama Napoli Foods is proud to be the 1st new business in the town of Gates “Little Italy” neighborhood at Colonial Plaza. 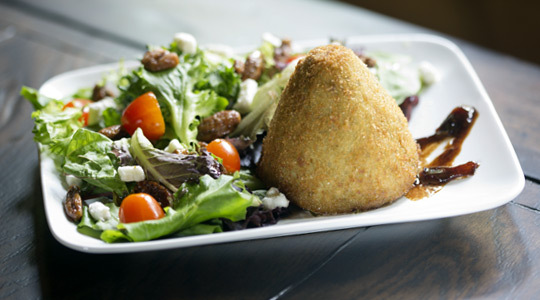 We can also be found serving our amazing arancini in the community at festivals, charity fundraisers, farmers markets, and the Rochester Public Market. Buon appetito!